It’s a first in the history of French TV: C’EST MON CHOIX, an emblematic part of French television programming, is back with ten new original episodes, produced exclusively for the C’EST MON CHOIX YouTube channel. These new episodes will be presented by its longtime host, Evelyne Thomas, and filmed before a live studio audience. A new episode will be posted every 15 days on YouTube, starting from May 2019. 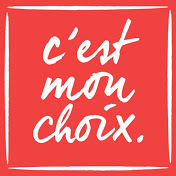 With over 1 million subscribers, 640 videos and a total of 385 million views, the C’EST MON CHOIX channel is one of the most popular YouTube channels in France. Produced by Reservoir Prod, a company belonging to Lagardère Studios, the show was created in 1999 and still enjoys high viewership decades later. It was first broadcast on France 3 until 2004, then it moved to Chérie 25 from November 2015. Resolutely contemporary, C’est mon Choix mixes personal testimonies and entertainment with one single goal: to put the spotlight on remarkable and explosive personalities. The show offers a positive platform to daring and surprising controversial characters. Evelyne Thomas helps guests explain their life choices, and their loved ones also have their say, as well as members of the live audience. Television viewers can react via social media.